Global curator Tiffany Hung takes a break from her studies in Oxford University to soak in the sights and sounds of the campus ground. 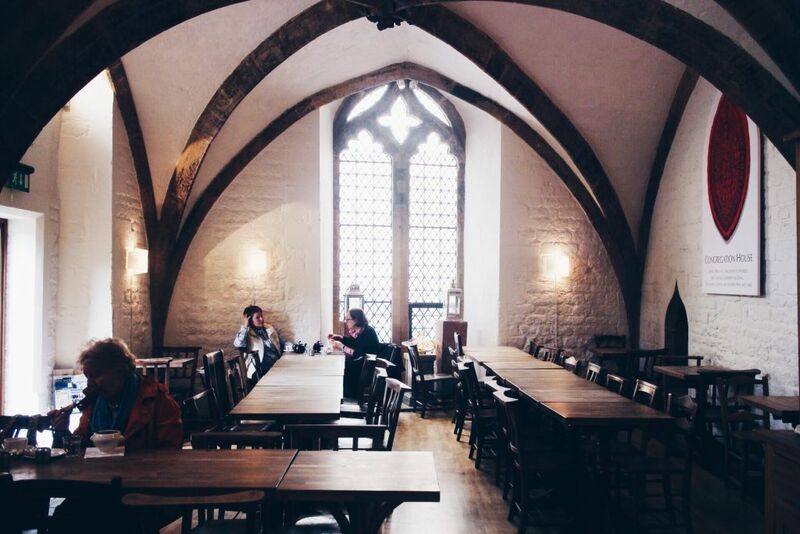 She reviews Vaults & Garden, a cafe in the midst of the University’s magnificent buildings. Good coffee can make a cafe – the sharp scent of first-rate coffee beans serves as a protective bubble of warmth and good vibes that envelops you as soon as you step through the door. 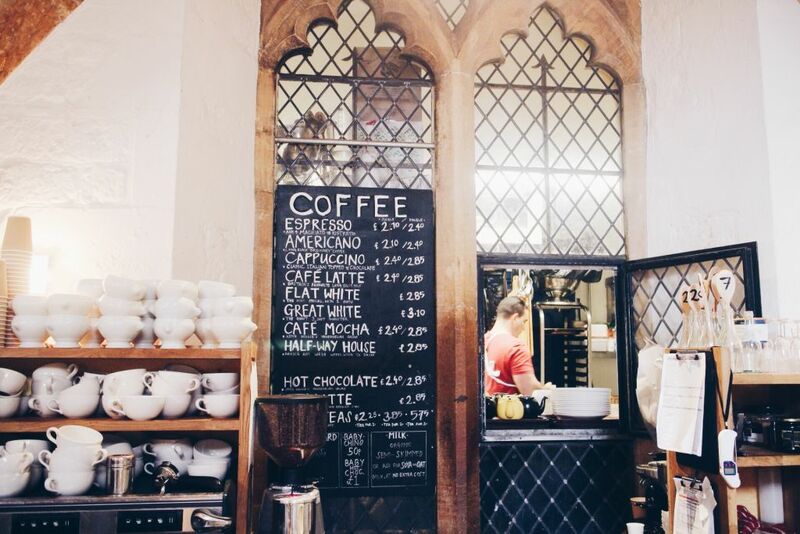 Never mind the immensely uncomfortable chairs, the shabby chic unpainted walls or the sub-par food – even if the decor or the food isn’t your cup of tea, a good cup of coffee can fix that. Having (temporarily) gone on a coffee ban means that quality coffee — once sky-high on my list of café criteria — has slipped down the ranks. This also means that a cafe can no longer fool me into falling in love with it solely by the means of its coffee. I can therefore safely say that Vaults and Garden has deservedly won a place in my heart with its idyllic garden and good heart-warming food. 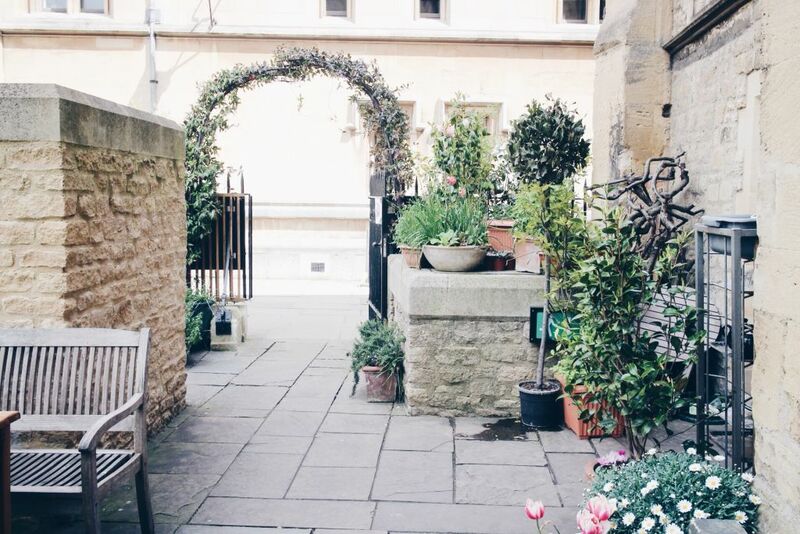 Nestled right in the historic and contemporary heart of the city, the cafe is surrounded by the dreaming spires of Oxford. While you get a prime view of the Rad Cam (you appreciate its beauty more when you’re on the outside looking in, as opposed to being trapped within the library under a mountain of books), you still feel like you’re in a secluded space. The vault is reminiscent of a medieval cellar and has lovely wooden arches set against the white brick. The only natural light source is from a stained glass window which hampers sight, slightly. The outdoor garden seating, however, with its mismatched garden furniture and flourishing botany, makes it the perfect place to escape from the bustle of life and get some good old food therapy. The menu is a seasonal one, incorporating a healthy variety of different cuisines. V&G never fails to provide a great range of heart-warming food, catering to a range of tastes and dietary requirements. They choose their ingredients, develop their recipes and plan their menus, with the view of creating healthy- and nutritionally-balanced options that will appeal to a broad range of people and accommodate to dietary needs. and Kashmiri dahl with red lentils, curry leaves, marinated aubergine, rose petals and saffron – gluten free, dairy free, vegan (£7.95). I’m a big fan of their curries, which aren’t authentic per se, but are tasty nonetheless and so indulgently creamy although they are vegan dishes. The simple combination of brown artisan bread with melted cheddar and assorted vegetable heaped on top was so simple yet so good. The sour vinaigrette of the colourful salad that came with it complemented the whole cheese rarebit. They also offer a wide array of teas as well as baked goods for a perfect after meal sweet-tooth appeasement. Not only is their food on point, but their vision of creating a socially-positive café hub promoting ecological sustainability really makes a huge difference in the overall experience. 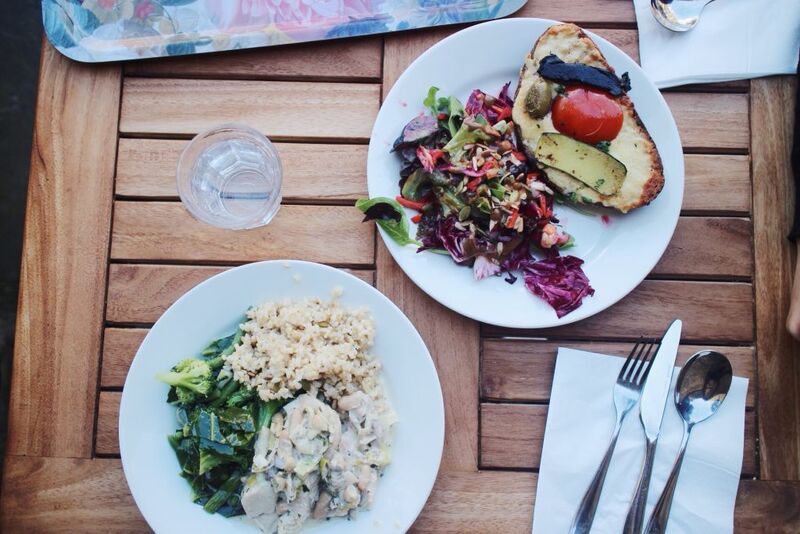 The Vaults & Garden was founded with the aim to furnish Oxonians with exciting, delicious and healthy food, sourcing local, organic and ethically produced goods and ingredients. They promote a “no waste” mentality where menu planning, recipe formulation, purchasing, food preparation and portioning all aim to minimise wastage of ingredients and food. The genuine unpretentious hospitality and scholastic affordability makes it a perfect lunch hang out for students, locals and tourists alike.